As some media reports pinned the Gabrielle Giffords shooting on right-wing rhetoric, conservatives went on the defense. 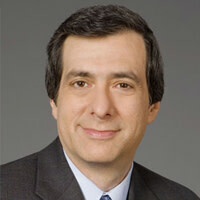 Howard Kurtz on the politics behind the coverage—and the media's worst mistake. It was as inevitable as a chemical reaction: Once the tragedy in Tucson became politicized, the right would quickly come to feel aggrieved. Not everyone on the liberal side has tried to tie the shooting of Gabrielle Giffords and 19 others to the violent imagery used by Sarah Palin and other Republicans; many have been admirably restrained. But conservatives aren’t happy about the emerging narrative, and on Sunday, they started punching back. Erick Erickson, the founder of Red State, took to the Web to argue that “the media, under the guise of ‘a full exposition’ of the evil in Arizona, is back to subtly and not so subtly pinning the blame for the attempted assassination of the congresswoman and the related shootings on the Tea Party movement, Sarah Palin, Rush Limbaugh, Glenn Beck, me, you, and everyone right of center. “This crime should summon us to a quiet collective resolution to cease this kind of talk and to cease to indulge those who engage in it,” Frum said. That, to me, underscores the point that both sides need to be careful about their language. I don’t agree that the “objective news media” (not that there is such an island of purity) are subtly blaming Palin, Limbaugh, and Beck (though MSNBC’s Keith Olbermann invoked them all in a fiery commentary). Journalists have certainly raised the question, though, thereby putting the notion into play. There is nothing wrong with objecting to Palin’s gun-targets map (which included Giffords’ district last March as one of 20 where Democrats should be defeated). There is nothing wrong with asking Tea Party politicians, whose movement is named after an uprising, to ratchet down the talk about “taking our country back” and “Second Amendment remedies” (in the words of 2010 Nevada Senate candidate Sharron Angle). But citing the wrong-headed Palin map in specific stories about the Giffords shooting does convey the impression there is some kind of link—even though Loughner, the accused shooter, is an incoherent-sounding Karl Marx fan, not a Palin acolyte. I don’t equate the "birther" garbage and Obama-is-a-Muslim lies with the attacks on President Bush, but it’s true that many commentators and politicians on both sides have played this dangerous game before. Any sane person ought to be worried about the climate in this country, a concern dramatically underscored by the Arizona shootings. That would be nice. But our media business, and particularly its cable news component, is built around an argument culture that rewards conflict. I have little doubt that some Fox News and MSNBC commentators will spend much of the week sniping at each other over the political aspects of this tragedy, even as Gabby Giffords fights for her life. The media let us down this past weekend in one other key respect. In the clamor to break news get on the air, CNN, Fox News, and National Public Radio all declared Giffords dead at one point. So did my former newspaper, The Washington Post. And, following their lead, so did many websites, including The Daily Beast. “We have one very reliable source on Capitol Hill confirming that Congresswoman Gabrielle Giffords has died,” a Fox anchor said. “CNN has confirmed, as you see, that the congresswoman has been killed,” a CNN anchor said. What was the great rush? Had Giffords died, we would have gotten the official confirmation soon enough. Fragmentary information, and assurances from sources, are all too often wrong during chaotic, breaking stories. We have learned that lesson many times, notably during the attempt to assassinate Ronald Reagan, when ABC’s Frank Reynolds, in retracting an erroneous report that press secretary James Brady had died, snapped at his staff: “C’mon, let’s get it nailed down!” Three decades later, that remains sound advice.